Have photos of you with Sylvia at events? Share them on social media with #SylviaAndMe. Sylvia will be attending the 16th Annual Vegas Valley Book Festival at the Historic Fifth Street School in Downtown Las Vegas on October 21st, 2017 for “Romance After Dark: A Wine and Dessert Party”, beginning at 5 pm. Authors Jessica Arden, Sam JD Hunt, Verlene Landon, Gwyn McNamee, David Michael, Mareta L. Miller, Beverly Preston, Jamie Rae, Kiarra M. Taylor, and Rosemary Willhide will all be hosting themed tables for the event. Scan the list of dates on this page for an overview, click on the links for more info, a map, and sharing links. Sylvia's next event will always be at the top of this Event Calendar. 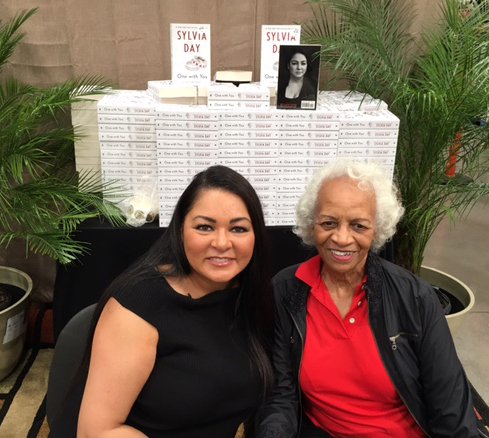 How can I schedule Sylvia for a book signing or other appearance? If you would like to schedule an event, please contact Sylvia’s publicist.